Zhao will engage in a two-week university residency during spring term 2018 and will be involved in a variety of campus activities, including teaching workshops and mentoring students in the CINE 408 “Art of Directing” course, as well as participating in public conversations and hosting film screenings. 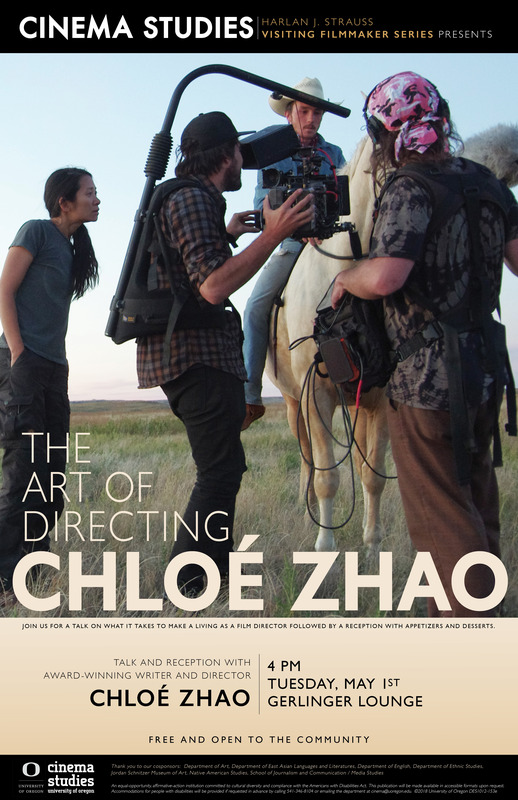 Join us for a discussion on the art of directing with award–winning director Chloé Zhao followed by a reception with light appetizers and desserts. For more information about this event, please read the website talk and reception event page. 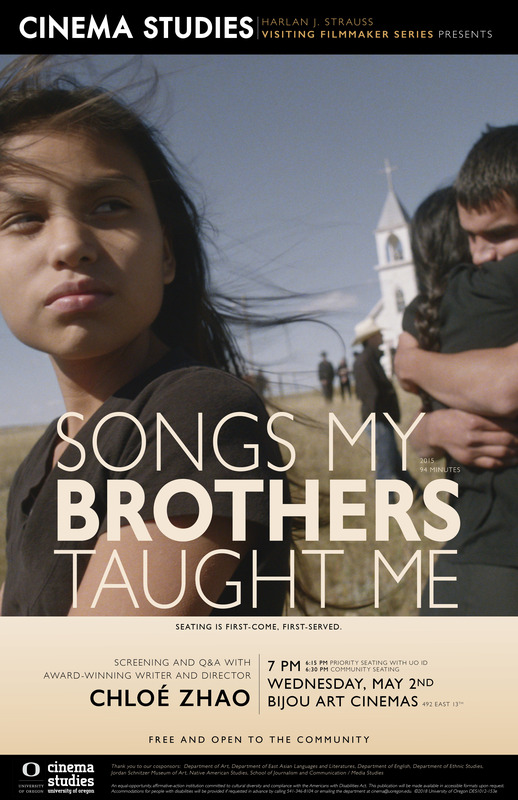 UO students, faculty, staff, and the community are invited to a free screening of Songs My Brothers Taught Me (2015) followed by a Q&A with Director Chloé Zhao. For more information about this event, please read the Songs My Brothers Taught Me website event page. 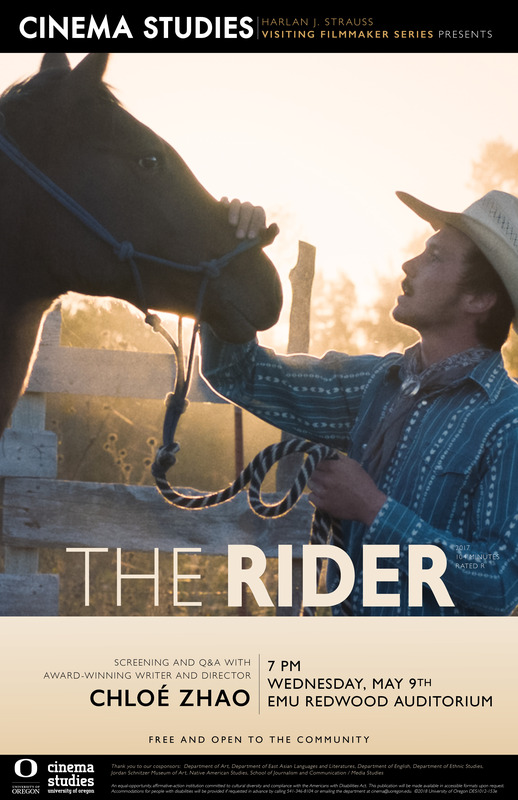 UO students, faculty, and staff are invited to a free screening of The Rider (2017) followed by a Q&A with Director Chloé Zhao. For more information about this event, please read The Rider website event page. Seating is on a first-come, first-served basis. Doors open at 6:30 pm.